I have been thinking that Rona wants more independence and deciding how to give it to her. 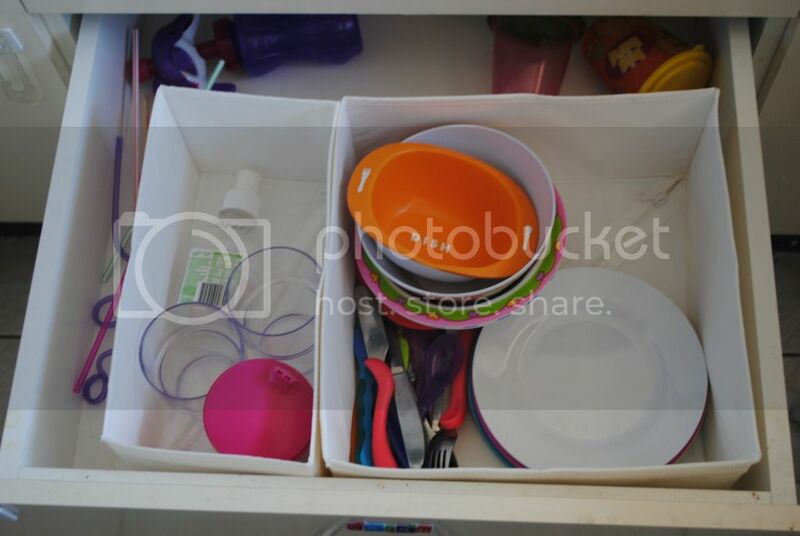 I have now made a drawer of her dishes, cutlery, cups and straws to allow her a bit of independence in the kitchen. She still can't reach the food or drink, but she really likes being able to get her stuff from her drawer.